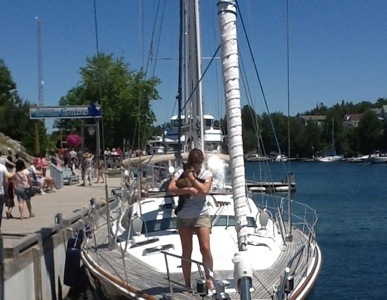 July 1st – Happy Canada Day from Tobermory! Yesterday’s ride from Wingfield to Tobermory was much more civilized and timely. Only three hours and it was very smooth. We are currently on the town dock which is very convenient. We just hop off the boat and we’re right in the heart of things. Of course, there are a lot of people here and they are very curious about the boat. We met a man from Port Elgin who noticed that we were from Parry Sound and he grew up there – he was a “Beatty brat” and his dad was the principal at Nobel School (which is where I taught for many years). We met up with our friends from Kenosha, Wisconsin and they have two extra passengers on board this summer – two cats. The cats seem to be doing really well and have enough toys to keep them amused for years. 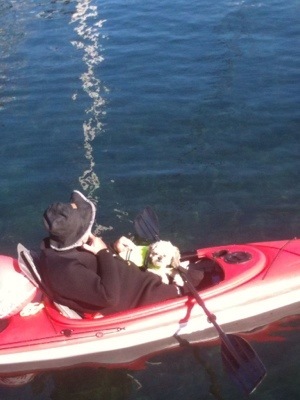 There are an awful lot of dogs in Tobermory, parading up and down the dock as well as being in various forms of transportation. We went out for supper and it was excellent. There was “jazz” band playing Irish music at the restaurant. 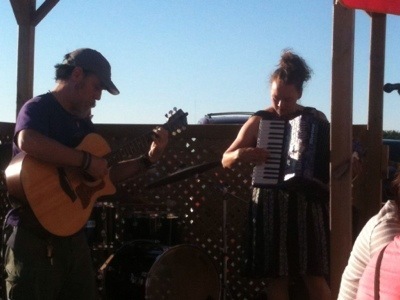 It was great music – accordion, fife, guitar and drums. The reason I have jazz in quotations is because that is how they were advertised, so maybe the real band didn’t show up. Anyway, they were really good! Today, we have to clean the boat, get a few groceries, do a load of laundry and fill the water tanks. 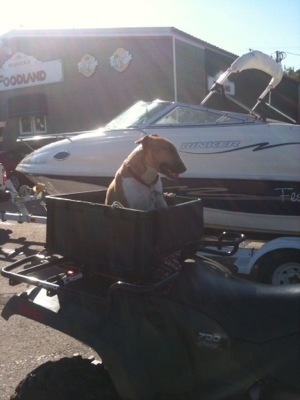 Dennis also thinks we should go in the Canada Day boat parade with the dinghy. We’ll see! 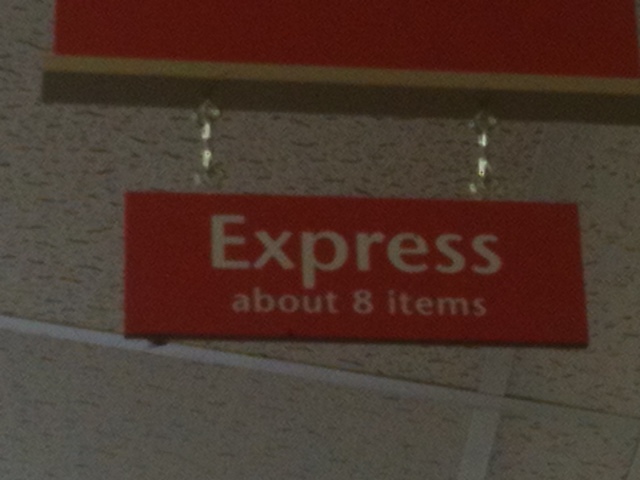 We went to the local grocery store (small but excellent produce) and I saw this sign in the Express check-out. I thought it was kind of funny. My final picture is for Louise – I know she will appreciate this one! 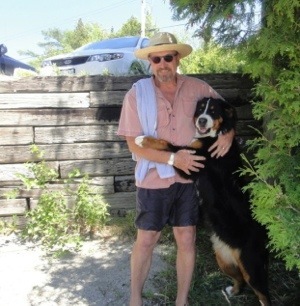 We went swimming over on the other side of the Tobermory harbour and Dennis found a friend. Louise, please feel free to make one of your very witty comments!